Alpha Designs can help you with finding that perfect Domain Name(URL), to Registration of your new Website Name. We offer our Clients a complete Support Ticket System to help with any questions, or problems that may arise. We offer complete Search Engine Optimization (SEO) for all of our Clients Websites, to get your website listed on the Major Search Engines as fast and accurately as possible. Hosting your website through our services(optional) is done on our own Private Dedicated Server, and includes your own personal Content Managment System (file manager). Dynamic Content What can we say but.. Now you're cooking with peanut oil! There is nothing we like more than creating pages with Dynamic Content. Dynamic content (aka adaptive content) refers to web content that changes based on the behavior, preferences, and interests of the user. It refers to a websites content and is generated with or without a users request. Dynamic content is personalized and adapts based on the data you have about the user and on the access time, its goal being to deliver an engaging and satisfying online experience for the visitor. WordPress One word.. NO. We do not use wordpress, or work on any site that uses wordpress. We actually create your website from nothing. Each is unique in design and style. We do not use ANY software or pre-made template to create a website for you. Each website should be as individual as the person or business is. Our staff of Designers and Programmers can create a complete website or modify/upgrade an already existing website, including Graphics, Sound, Video or Flash. For Complete Information and Details, Click Here. If you are looking for a location to run(host) your website from, or move your existing website to, we can handle that for you. Our Programmers can create / design any number of Background (custom) Programs to make your website more productive and give your visitors that interactive, personal feel. 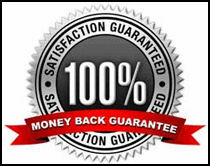 We want all of our Clients to be extremely happy with the design of their new website home, so we offer a 100% Satisfaction, Money Back Guarantee on all new website designs. All of our Clients have access to our Support Ticket System, 24 Hours a day, 7 Days a week, for any changes or problems that may arise. Our Programmers are well versed in the art of making sure your website gets listed in major search engines as soon as possible, and listed acurately so people searching will find you. All websites operating through our hosting services are placed on our own Secure, Private, Dedicated Server. We do not use Public Shared Servers. Every Client (using our hosting service) gets their own Personal File Manager System so they can make any changes to common files at a moments notice, 24 Hours a day, 7 Days a week.